Do you want to generate more qualified leads with social media marketing? 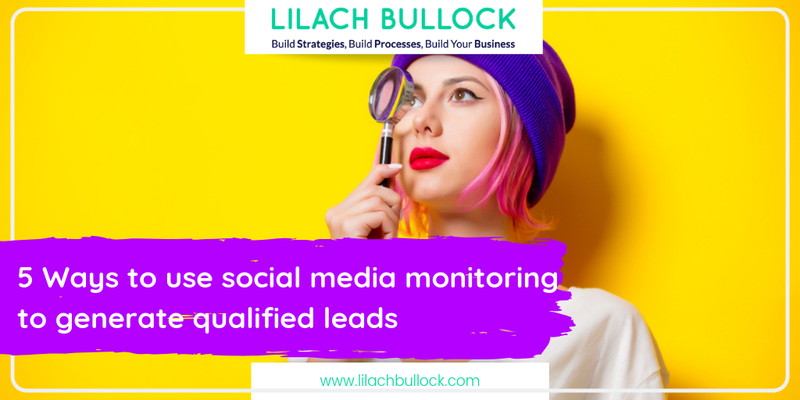 Social media has proven itself time and time again as an amazingly efficient lead generation platform – so, in this blog post, I’m going to show you the 5 ways that you can use social media monitoring to generate more qualified leads. Social media marketing has gone through many phases over the years of its existence; when it started out, most claimed is was most likely a fad, something that will pass just as fast as it took the world by storm. And, as it kept growing and social media marketing was proving its worth, more businesses were joining, while there were still some nay-sayers claiming it will disappear soon, or that there is no true value to it. Now, though, social media marketing has proven itself as one of the most effective forms of digital marketing, alongside content marketing and email marketing. It’s not only a great tool for engaging with your audience, promoting your business online and increasing your website or blog traffic, but it’s also a great tool for generating more leads for your business. One of the ways that you can use social listening for lead generation, is to monitor people that are searching for products or services that are similar to the ones you’re selling. First, perform some research on the keywords they would be using. Once you have a list of keywords, set up a search for them to discover potential leads. For example, let’s say you’re a weight loss coach looking for clients. In this case, some of the keywords you would monitor on social media would be something like “help losing weight” or “lose extra pounds”. To narrow down your search and get more targeted results, most monitoring tools will also allow you to add words that you want the tool to ignore. Go through your list of results to see what words pop up most often in irrelevant searches. Then, add these keywords in the list of words to be ignored to stop getting these results, and instead focus on the most relevant ones for your business. Once you discover potential leads this way, start engaging with them to nurture these leads into becoming your customers. One of the most important things that you should be monitoring, is your business or brand name. While some users will use your social media handle when mentioning you, it’s quite possible that some won’t. That’s why you need to make sure you’re on top of your mentions by monitoring your name. This way, you will not only uncover any customer service issues in time, but you will also be able to uncover potential leads that you could’ve otherwise missed completely. As soon as someone mentions your name in any way, you should respond as soon as possible and engage with those users. Depending on their interest in your products or services, you will need to engage with them and nurture them for a period of time, until you can start trying to sell to them. You can use a tool like Brand24, as pictured above, Brandwatch, or a social media management tool like Agorapulse to start monitoring your brand or business name. One other way to use social listening to your advantage and gain more qualified leads, is to monitor mentions of your competitors. Researching your competitors’ social media activity is beneficial for multiple reasons, however. For example, by monitoring their social media presence, it will help you learn from both their successes and their mistakes. But, to go back to monitoring, by listening to your competitors and the mentions they receive, it can also help you discover more potential leads. @santanderuk So as a business customer paying £££ in charges each mth I now can’t use the counter svc? Well done, you just lost our account. Another way of using this, is to look for people who are enquiring about your competitors’ services or products – it could be that they haven’t heard about your business and, by jumping in, you could get that business for yourself. For those who only serve certain locations, or who have a bricks and mortar store, monitoring locations can help you generate more business. In order to do this, set up searches for relevant keywords, but only in the locations in which you’re operating. You can easily do this for both Twitter and Instagram. 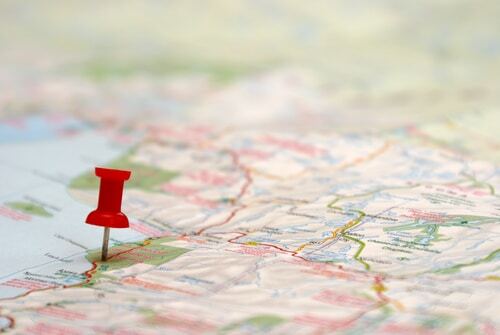 For your location-based monitoring search, use relevant keywords from your industry that people might use, as exemplified earlier on, in the first point. Then, select the location for the search, so that you only get results from that city or area. Ideally, you should also set up an alert for whenever there might be a new mention, so that you can jump in and start engaging with potential leads that are in the area. Social influencers and brand ambassadors can be of huge help when promoting your business on social media and for generating more leads. For discovering potential social influencers to connect with, set up searches for relevant industry keywords. As you monitor these results, you will likely start to notice users and authors that tend to generate a lot of engagement in the form of shares, comments and other types of mentions. These are the people that have the most influence of your target audience, that are sharing the best content and that have the biggest engaged audiences. By connecting with them and using them, it will help give you more clout on social media and help you generate more leads, organically. For searching for brand ambassadors, you will need to monitor your brand name. As you do so, you should make note of any people that keep popping up in your results, as they are often sharing your content or actively engaging with you on a regular basis. As you discover brand ambassadors, make sure to engage with them and, preferably, reward them for their support and loyalty to your business. This will help you generate more leads, albeit indirectly, as the voice of a satisfied customer is the best advertisement you could possibly get. Before you go, I wanted to also list some of the best tools that you can use for monitoring your social media. There are two main options here: one, is to use the monitoring features of the social media management tool you’re using and two, is to use a dedicated social media monitoring tool. For social media management tools, I would recommend Agorapulse, as it provides a few extra monitoring features which I haven’t encountered with other social media dashboards. You can add multiple keywords to search for, as well as words to be ignored, and you can also select a certain location or language for your monitored items. And for Instagram, you can search both for hashtags and for locations. In terms of monitoring tools, the best options are probably Brand24 and Brandwatch. Both of them offer extensive monitoring features, and not just for social media, but for the web in general. The big difference between the two, is that Brandwatch also offers geo-targeting and historical data, while Brand24 doesn’t, but because of that, it’s also much more affordable. You can read more about them in my reviews for Brandwatch and for Brand24. Social media monitoring can be a very important tool for generating leads. Not only that, but it’s also important for staying on top of your customer service issues, for discovering engagement opportunities and for finding potential followers. Thanks for sharing.. All 5 ways are interesting and useful for generate traffic and sales.. here you mention useful tool is Agorapulse, it’s good but paid any free tools available for social media for the give best result.. Very useful tips! 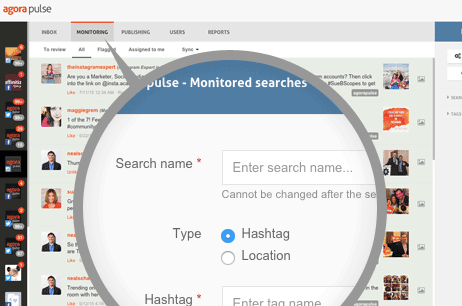 You may also consider trying Mentionlytics, a web & social media monitoring tool. It is available within Hootsuite, it has easy to use interface & many cool features! I’d also suggest having a look at chotam.io – it’s very simplistic social comment alert tool, which can instantly warn about new comments in chosen communities, owned and not, and also in ad posts or influencers’ posts with alert to email or Telegram, to multiple addressees, with history and search and fairly budget-friendly. Thanks Evgeny, not heard of them before. Very insightful post-Lilach! I used brand24 for monitoring my social media and am highly satisfied with their service.